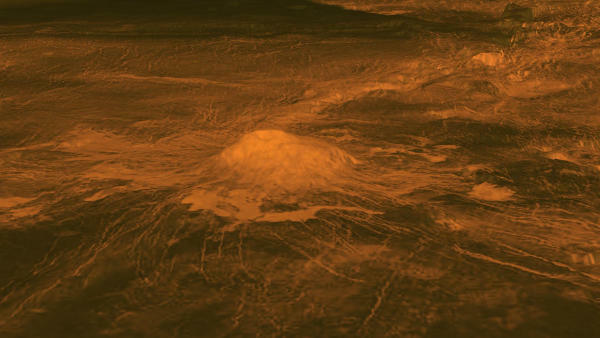 The Idunn Mons volcano was photographed by the European Space Agency’s (ESA) Venus Express spacecraft mission. This volcanic peak is about 200 km across and sits at 46 degrees south latitude, 214.5 degrees east longitude in the Imdr Regio area of Venus. The reddish-orange portion near the center of the image represents the warmest area which is centered on the summit and stands about 2.5 kilometers (1.6 miles) above the plains. The Magellan spacecraft took this picture of planet Venus (also known as the Morning star and Evening star) in early 1996. 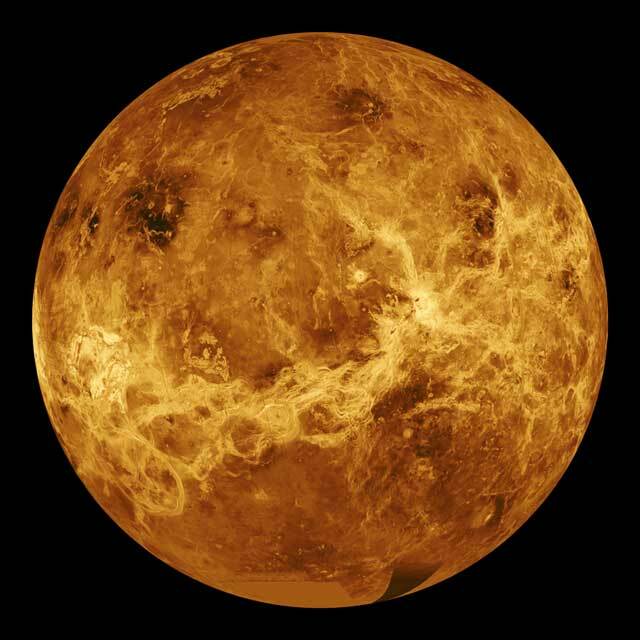 It focuses on the Eistla region on Venus located at 12.3 north latitude, 8.3 degrees east longitude and represents an area 160 km by 250 km on Venus. 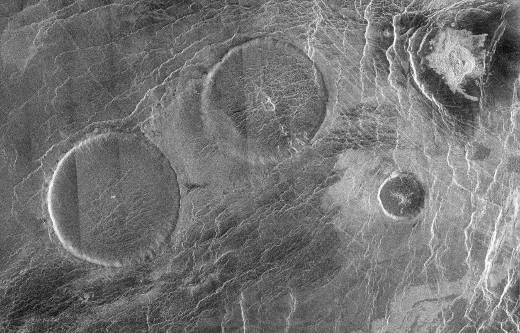 This picture shows the distinctive “pancake domes” – referred to as such due to their flat tops. These volcanic domes can be up to 65 km across but only go about 1 km in height and were formed by volcanic extrusions of sticky/viscous lava on planet Venus.